Ericsson (NASDAQ: ERIC) has been selected by XL Axiata, a leading telecommunications operator in southeast Asia, to deploy an LTE and 3G/WCDMA indoor small cell solution based on the Ericsson Radio Dot System and Ericsson Micro Remote Radio Unit (mRRU). The solution is designed to integrate seamlessly with XL Axiata's LTE and 3G/WCDMA network, and will enable the operator to expand indoor app coverage and network capacity. As a result, XL Axiata can offer its subscribers high-quality voice and data experiences in more in-building locations. Initial rollout will take place at Jakarta International Airport and represents the first commercial implementation of its kind in Indonesia. Under the terms of the agreement, Ericsson will also provide turnkey project management, design, implementation and tuning services. Dian Siswarini, President Director, XL Axiata, says: "We see Ericsson's Radio Dot solution as the right fit to our commitment to continuously improve the mobile service experience for our customers. With the solution, XL Axiata's subscribers will enjoy a better indoor experience whereas we also enjoy the fast and easy deployment of the system." Thomas Jul, Head of Ericsson Indonesia and Timor Leste, says: "Indoor environments pose particular challenges for operators in terms of complexity, scalability and service continuity. At the same time, consumers expect high-quality voice and data coverage regardless of location. By delivering seamless coverage in a wide range of in-building deployment scenarios, the Ericsson Radio Dot System can therefore be a key differentiator for XL Axiata in the competitive market of Indonesia." 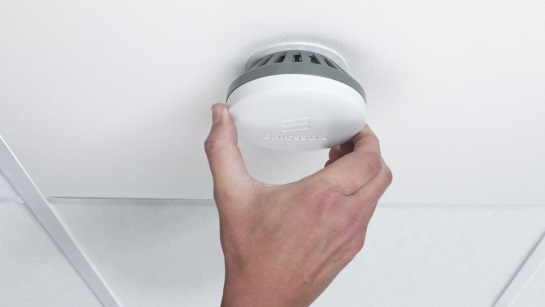 Small cell architectures like the Ericsson Radio Dot System are set to become increasingly prevalent as networks evolve towards 5G commercial availability.